Those who are new to home canning will soon learn how fun it can be. But it won’t be long before they’ll have be facing down a pile of fresh produce, only to discover that they’ve run out of canning jars (also commonly called Mason jars). 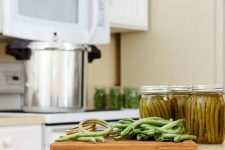 To save money while ensuring that you’re always ready to preserve great produce deals and bumper crops, the home canner should stock up ahead of time on most – if not all – of the jars they’ll need for the canning season. The best places to buy canning jars. Which sizes are most appropriate for which foods. How to estimate how many will be needed. With just a little care in use and handling, jars may be reused season after season. You will, however, have to supplement your collection with new lids each year (unless you buy a certain type – more on this later). 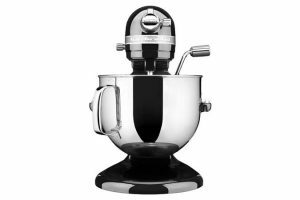 Many stores sell canning supplies, including hardware, grocery, and department stores. 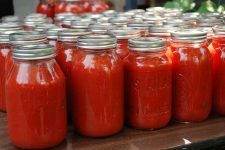 Most of them don’t keep large quantities of jars on hand in the off season, but they should have a good supply available during the summer and early fall. 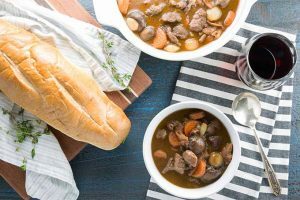 Canning has steadily been gaining popularity over the last few years, and many manufacturers and stores are experiencing shortages, running out completely before the canning season is over. 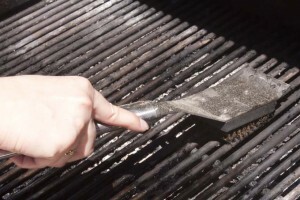 This makes it very important to keep enough on hand, or you’ll face wasting good food for want of a place to put it. I don’t necessarily recommend hoarding (although it’s not a bad idea…), just making sure that you have a large supply. 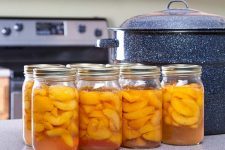 If a canner finds they’ve stocked too many, there will be plenty of needy people to take surplus off their hands the next season (although, to a home gardener or preservationist, jars are golden glass). 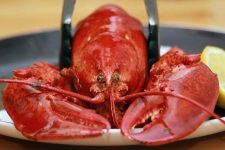 For the first few years, it’s definitely better to err on the side of caution and procure a few extra, as opposed to finding yourself stuck with too few. If you’re in a pinch, it may be helpful to know that you can buy these through Amazon. Personally, I hate going to the store, and love it when a delivery vehicle comes to ME with the precious cargo that I’m after! 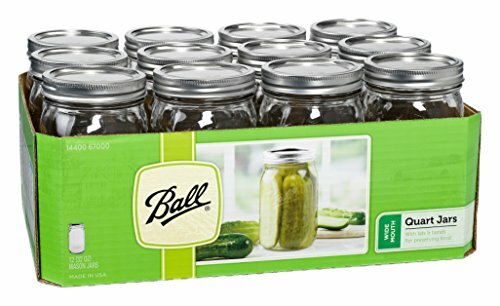 There are alternatives to buying canning jars in the store. Because they can be reused indefinitely as long as they don’t have any cracks or chips, they are a great item to find second hand. Spreading the word among friends and family is a useful tactic, and could result in the inheritance of a whole collection from a retiring canner. Many older people who can’t can anymore, or those who just don’t have the time, will be thrilled to find an appreciative home for their stock. Rummage sales are a great place to pick them up, as are thrift stores. 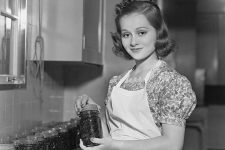 A request made on Craigslist or Freecycle may also net a lot of jars, a boon to the new canning enthusiast who is just getting established. One of the best places to pick them up is at “farm” auctions, but these tend to be really regional. Missouri? No problem. So Cal? Not so much. It is very important to check prices carefully when buying second hand. New canning jars from the store generally cost $1-2 each, depending on the size. When buying second hand, it’s vital to know the item’s retail cost to make sure the used price is actually a good deal. $0.25- 0.50 each is a fair price, and an excellent deal if you’re buying used. Unfortunately, lots of consignment shops and junk stores often believe (or want to believe) that they’ve landed on a bunch of “antiques,” and price them sky high. Commercial Food Product Jars – Won’t They Work Just as Well? The short answer? No, not really (with a few caveats). Most food jars these days (if they aren’t plastic), are normally made with a rim that is incompatible with canning lids. And if you do find some that will work? Modern versions are ultra thin and could lead to breakage within the pressure canner. There is nothing more heartbreaking than opening the lid of the canner and seeing the produce that you worked hard for in your garden all season long, splattered among glass shards and the wreckage of your broken dreams. 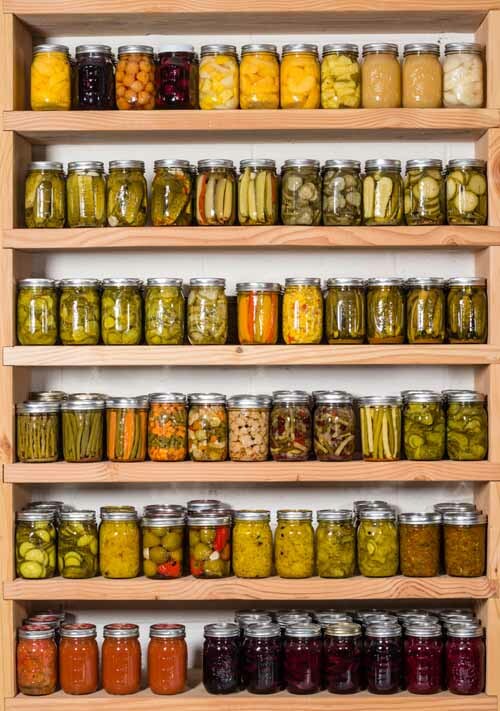 You’ve probably fought insects, weather, and plant disease and spent hours laboriously chopping, dicing, juicing, and simmering, to have it all ruined by not spending a little cash for the real deal in glass storage. Bottom line: Buy some jars. 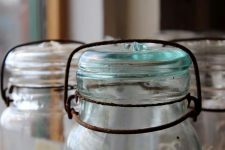 Note that commercial food jars made 30 or 40 years ago were of much thicker glass. Chances are if you find some of these in an old “stash” they’ve been used and reused in a bygone era and are probably safe. The ones with flaws would have broken long ago. 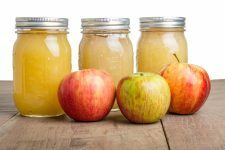 Jars for home processing come in a wide range of shapes and sizes with wide and regular mouths, from the cute four-ounce jelly jars to large half-gallon sizes. The most common sizes are the half-pint, pint, and quart. A pint is the equivalent of two cups, or 16 ounces. Memorizing these conversions and measurements can be very useful to the home canner when estimating batches and the amount of jars needed. There are also novelty sizes such as the 4-ounce, half gallon, and gallon. These can be useful for some things, but they typically aren’t very cost effective since the manufacturers don’t produce many of them. Jars can be plain, or they may have a decorative motif or brand name scrolled on their exterior. And many manufactures now offer heritage or vintage collections, with colored glass and shapes from bygone eras. Choose sizes that are appropriate for what you are preserving. 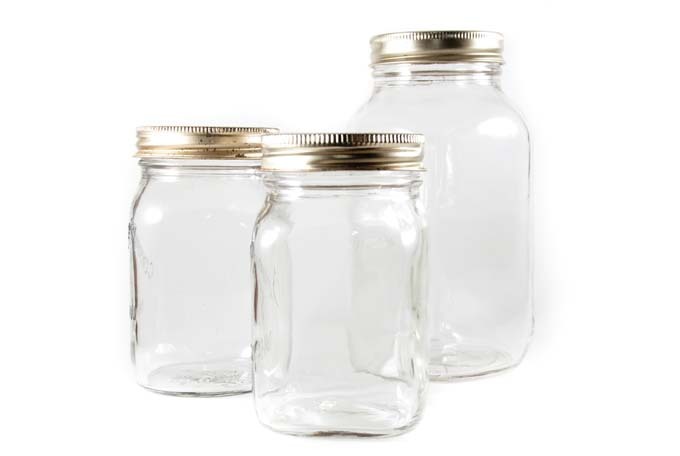 If you plan to store your goods for home consumption, choose jars that are economical, functional, and well made. They also come in regular and wide mouth. Standard or regular mouth jars measure 2 3/8” at the opening while wide-mouth lids measure 3”, making them easier to fill and empty. In the long run, the regular type is the better deal since their lids and rings cost less to replace, though wide mouths can be easier to pack when it comes to bigger food items, like fruit chunks and dill pickles. 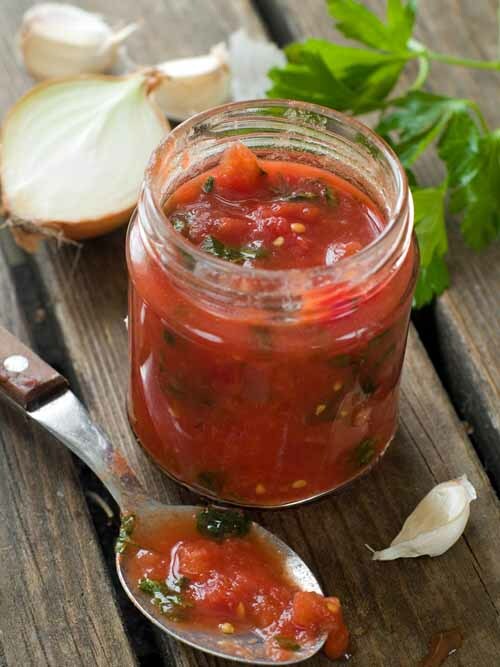 Half pint-sized jars are good for jams and jellies, and this is a good size for relishes or salsas too. Each holds a cup, so they might not be as useful for large families that would go through them really quickly. It’s always nice to have a little stash of smaller decorative jars to fill with your favorite recipes as well – they make great gifts, at any time of the year. Pint-sized jars are great for things like dill slices, ready to drink fruit juices, specialty items like brandied fruits and spiced apples, and veggies like beans and corn. 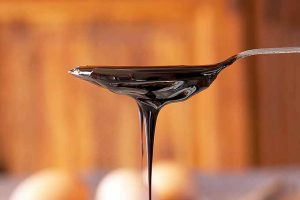 They would also be good for jams and jellies in households with large families that will go through the whole two cups of jelly long before it can be stored in the fridge for too long and mold. Most jam and jelly will keep in the fridge once it’s opened for about 6 weeks, but low-sugar recipes may store for only about three weeks before going bad. Quart-sized jars are great for tomato sauce, applesauce, dill pickles, and other pickled veggies like dilly beans, beets, asparagus, giardiniera, and chow-chow. 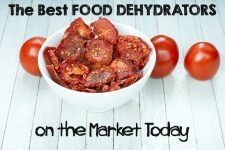 Quarts are also a good choice when canning drink concentrates that are mixed with equal amounts of water before consuming, since most serving pitchers and drink jugs are two-quart sizes. Large families may find that it’s useful to can corn or green beans that will be served at meals in quarts as well, since they may go through a pint of those sides too quickly. 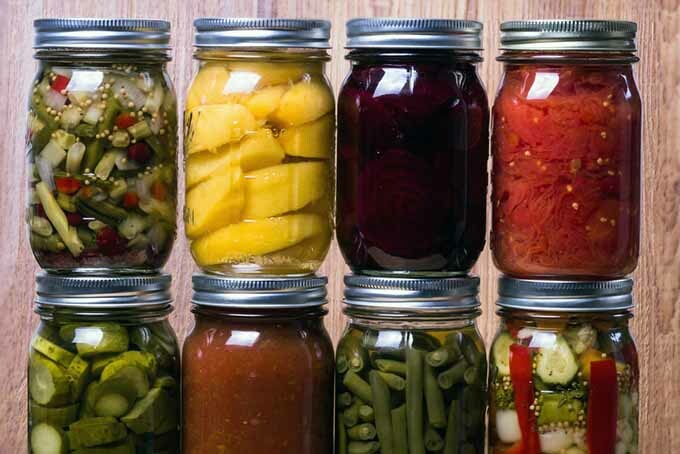 Two-piece, threaded, self-sealing lids are the tops to use, according to the USDA’s National Center for Food Preservation’s recommendations for both regular and wide-mouthed Mason-style jars. Lids are also available with a plain or decorative motif. Although rings can be used over and over again, traditional metal lids are a ONE TIME use. You absolutely cannot reuse them once they have been sealed. 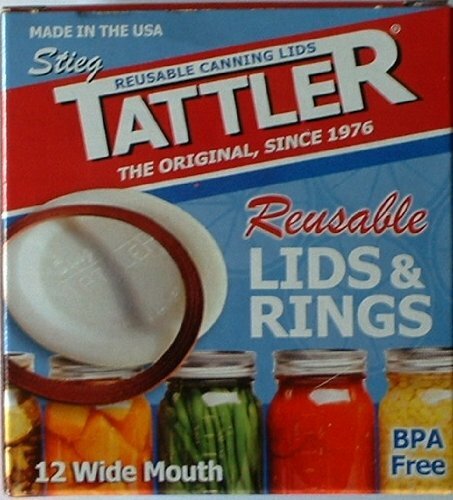 However, there is another option – Tattler reusable canning lids. First developed in the 1970s, these lids are a wonderful reusable alternative to the disposable metal type. They will never rust – even in damp basements or humid garages. Use standard rings for sealing. No guesswork as to whether it has sealed or not. If there is no seal, the lid will slide right off. 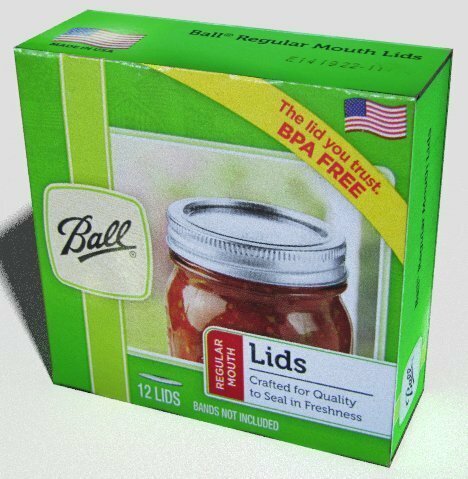 These lids are made of a hard plastic and use a rubber gasket to seal in the goodness. The rubber gaskets will wear out over time, however, you can normally get 20 to 30 uses out of each, sometimes more. They really only need to be replaced if they get torn or develop dry rot. We’re talking a decade of use, maybe multiple decades. They do seal a bit differently than metal lids. When you place your jars into your pressure canner, you will need to leave the rings a bit loose and then completely tighten them after they’ve been through the canning cycle. In order to estimate the number of jars needed for all of the canning that needs to be done, it is helpful to begin with a list of all of the items that will be preserved by canning, and in what size each will be processed. Besides calculating the total volume, an estimate of how many of each type will be used is also helpful. 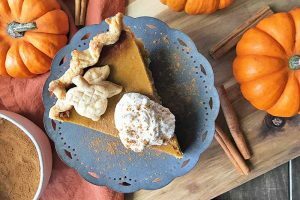 Keep in mind that it will make a difference if the food is meant to be eaten through the winter, for a whole year, or just as an occasional treat or gift. In our household, we use a quart of tomato sauce every two weeks on pizza night. We can this in quarts rather than pints, because it will last in the fridge for a week or two just fine after it’s opened. This helps to save room, and fewer jars are needed. Based on this calculation, I plan to can about twenty-five quarts of tomato sauce to supply our pizza nights for a year. 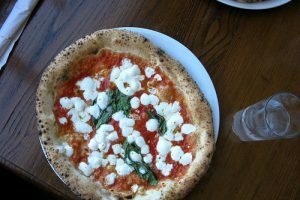 I add to that the other tomato sauce recipes that I like to make, such as pasta sauce and chili, and I know that I’ll probably want to have on hand around forty quarts of tomato sauce for a year. By tracking consumption for a couple of weeks or so, the cook can estimate the amount of a given product that will be used in a year. I’d recommend overestimating by a small percentage, just to avoid shortages. 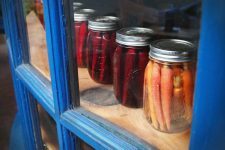 Those who would like to eat locally all year round will find that keeping enough canning jars, and planning ahead when foods are plentiful and in season, will save them time and money when winter comes along. 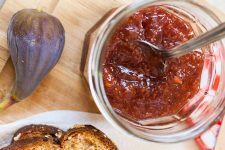 Even if a canning enthusiast is not a locavore, they’ll find that having enough on hand before the produce comes rolling in will save them a lot of trouble in their hot, steamy summertime kitchens. Have your scored any good deals lately? Have a relative or a friend gift you with a stash of golden glass? Tell us about it in the comments below! Originally written by Lynne Jaques and plubished August 21st, 2014. Revised and expanded by Lorna Kring and replublished July 8th, 2016. Photos Credits: Shutterstock and product photos courtesy Jardin Home Products and Tattler. Pesky Pits? 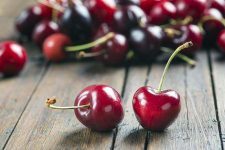 Get the Best Cherry and Olive Pitter for You! Lynne is a stay-at-home mother of two boys. As a former US military officer and the spouse of an active duty US military member, Lynne enjoys traveling the world (although not the moving part!) 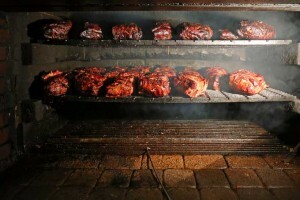 and finding new cuisine and methods of preparing food. She also has the habit of using parenthesis way too much! I’m just in the early stages of researching what I need to know about canning. There are so many canners to choose from, jars, dos and don’ts etc – it’s quite an exercise really. I like your advice about the jars; it makes sense to have a few extra but without hoarding. Besides, my pantry is not big enough to cope with too much excess stuff. Up to now I’ve only done the water bath canning, but it’s the pressure canning that I would most like to do. I’d love to have a ready supply of soups, spaghetti sauce, fruits and vegetables of the season, for use throughout the year. Thanks for explaining properly about the jars – another piece of research ticked off my list! 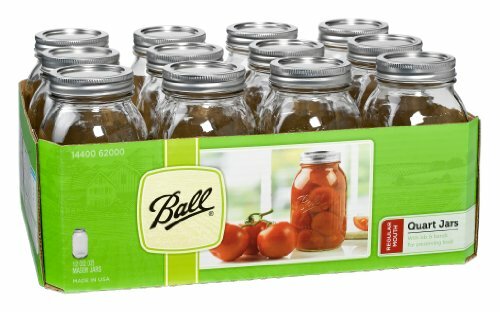 I have been looking for cans to buy to start canning. The best prices I have found are online. They are cheaper than any of the stores around me, even after shipping. I can’t wait to start canning my garden fruits and veggies! I remember my grandma canning when I was younger so I look forward to doing it with my kids. Good advice. I feel though that if I were to go on Amazon, with all their suggestions of other products I might like, I might have more than just new jars coming to me…! Though I guess the choices would be larger there, with some more fancy looking jar for gift-giving. What is also a possibility is subscribing to a “freecycle” group in your region. Mine advertised a few times free mason jars to give away; the second time I did try to get some, but they were already given away. They did promise to give me a notice when they would have more to give! I think the best place to buy mason jars are online or in a resale shop. Sometimes I am surprised by how ridiculously cheap mason jars become when used. Ignore that, bleach it, & make a group of storage units for yourself. I find that this varies though on what part of the USA you are in. In yuppie areas or pretty much all of California, they think every jar is an antique and is priced way more than it is worth. Even at Goodwill and the Salvation Army. The absolute best place to pick them up is at farm/country auctions in the Midwest and the South. Thee jars are treated like antiques here in the UK too. Charity shops sell them for around £3 (or $5) per jar. I think it’s because everything “vintage” seems to be popular right now. On the whole Amazon seems to be cheaper, plus there’s the added bonus of not having to lug them all home. I have found that the cheapest option in the UK is simply to raid the local supermarket for their cheapest and (usually) most appalling lemon or orange curd. It typically retails at £0.22-£0.25 for a 411g jar and the glue on the label is also so cheap that the slightest contact with hot water brings off the label easily. Ditch the contents, wash and sterilise the jar and you have a decent sized jar for very little money. I’ve also seen a lot of mason jar crafts being advertised on Facebook and Pinterest, which could be contributing to the demand for canning jars, and creating a shortage in stores. I would probably buy them online as well, since I love getting deliveries, because it feels like Christmas. I think I’d like to start off small, since I don’t have much storage space here, so will have to see about buying just a few at first, then if that attempt proves successful, I can buy more. Well written post and very informative. A post written this well is something that I can send to any newbie canner to have on hand in their household. Even thought I haven’t really tried the canning method in order to preserve foods, I really love the idea of food being still kind of fresh with this method for a relatively long amount of time. Unluckily, this method is not really popular where I live, so mason jars, especially for this particular use, are not really common here… so I think that the best method for me is to look online, find the best deal and order some. 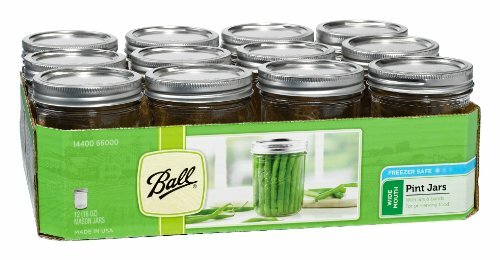 Well when it comes to saving money and having thing in stock, using these kinds of jars really comes in handy, especially around this time of year when people are growing fresh produce. It reminds me of the pickled green beans that we would always get from our old neighbors, and which I try to emulate but I am missing something. I might need to give it another go, so thanks for sharing this. Canning jars are a lot more expensive in the UK than in the US, sadly. The larger ones retail at £3-£4 each which is eye-wateringly pricey. I keep trying to source well-priced jars but I can never find any. 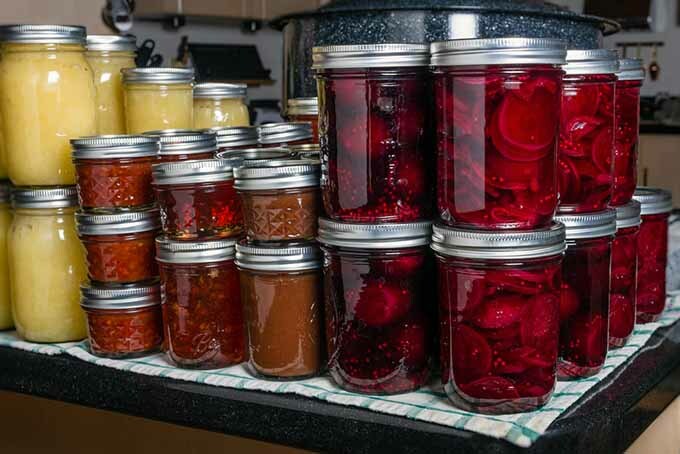 Canning is something that I learned from my grandmother and is a skill I still use on a regular basis. I can things from my garden for my own later use, but I have recently started selling some of the things that I can. It has been quite profitable. So far, I have only made jelly and peppers (in oil and vinegar). The peppers have sold extremely well. I was really worried about health codes and regulations, but where I live in Ohio, this type of item falls under “cottage goods” and has virtually no regulations at all. When I first started canning fruits and vegetables I didn’t really care too much about the jars, but their quality is really important. I had fruits go bad simply because the jar was poorly made and it didn’t close correctly, there are some good suggestions in the article. Canning is something that I have done with my grandmother and other family members since I was a little girl. 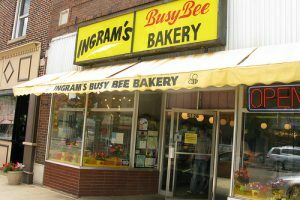 I love it and still do it today. In fact, my canned peppers have actually won awards at fairs and other competitions and I sell them at the flea market every summer. It’s actually been time consuming, but rather l. I really am going to branch out and start canning jellies, jams, and salsas soon too. It’s great to enjoy fresh produce in the dead of an Ohio winter! When canning foods a key to it is having a good jar. I usually buy local which turns out pretty good for me. For people who do not have a reliable place to buy jars this is a very good and informative post!